NESDCA uses the information in this application to determine your qualifications as an K-9 Team Trainer and to ensure that NESDCA will contain a fair balance of interests. 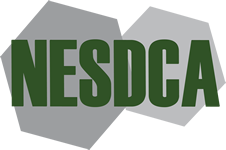 NESDCA will not use this information for any other purpose than the above. Please provide us with as much information as you feel will assist us in the APPROVAL process. FEE: There is no fee to become a NESDCA Trainer or NESDCA Training Facility. There may however be expenses associated with travel in the event travel is required by NESDCA to evaluate a facility to be a NESDCA Facility. a. Provide some background of your general knowledge in Training dog teams. b. List schools, seminars, workshops, and lectures you've attended to obtain your training knowledge and continued education in the dog training field. c. Are you willing to abide by, support, and promote NESDCA, our By-Laws and mission of Entomology Scent Detection? d. Please describe in detail the number of dogs you have trained and in what areas. ie: 5 Law Enforcement drug dogs, 2 Search & Rescue live find, 6 termite dogs, etc. a. Provide a contact name and number at the training facility if different than above. NOTE: You must provide NESDCA with a certificate of insurance for liability and workers compensation for a minimum of one (1) million (U.S. Dollars) coverage of each. Abide - If granted NESDCA Trainer and / or Training Facility status, I agree to abide by the RULES and BY-LAWS and agree to notify the Secretary of the NESDCA of a change in status, including change of employment, organization represented, location or funding source. Attest - I attest that all of the information on this application is true and accurate.